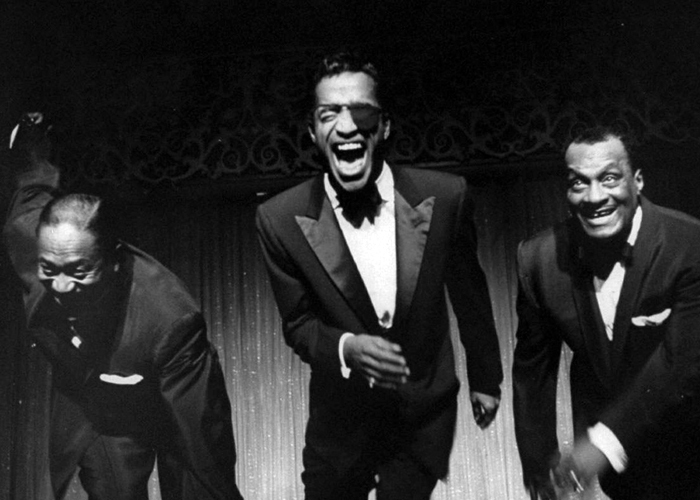 Born on 8th December, 1925 in Harlem, New York City, Sammy Davis, Jr. was the son of two dancers, Sam Davis, Sr. and Elvera Sanchez, both members of a vaudeville troupe run by Will Mastin. 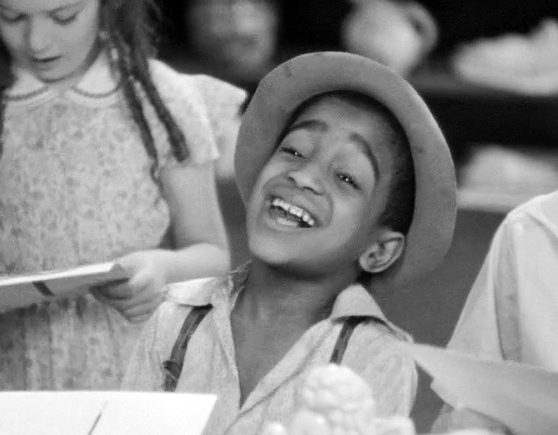 With both parents performing in Mastin’s production Shake Your Feet, Sammy was initially left to be cared for by his paternal grandmother Rosa Davis. Following the birth of his sister Ramona in 1928, his parents’ marriage broke down and his mother joined a rival touring show. Ramona stayed with her grandmother but Sam Davis, Sr. collected his son and took him on the road with him. 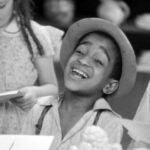 The boy soon developed a love for show business and at the age of 3 became a bit player in Mastin’s latest revue, Struttin’ Hannah from Savannah. He soon learned to dance, mug, sing and joke, and Mastin started using Sammy more and more. The authorities jailed Sam Sr. twice for neglect – not putting Sammy into school. His response was to dub Sammy a midget. He became such a drawcard that the group was renamed ‘Will Mastin’s Gang Featuring Little Sammy’. In 1933, at the age of 7, Sammy appeared in two ‘short’ features for Vitaphone – Rufus Jones For President and Seasoned Greetings. 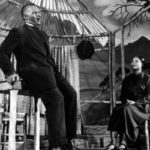 The first, which starred Ethel Waters, featured Sammy singing and tap-dancing up a storm. By 1936, Mastin had been forced by the increasing popularity of film and the effects of the Great Depression to scale back his group, and Will, Sam Sr. and Sammy became simply ‘The Will Mastin Trio’. Two people made an indelible impression on Sammy during this period – at the age of 9 he met Bill ‘Bojangles’ Robinson in Boston, who showed the youngster the value of making his dancing look effortless to the audience. Then, in 1941 Mastin’s group opened for Tommy Dorsey and His Orchestra in Detroit, and Sammy formed a friendship with Dorsey’s singer Frank Sinatra. Sinatra was 26, Davis, 15. Three years later at age 18, Davis was drafted into the Army and sent to Fort Warren, Cheyenne in Wyoming for basic training. In March 1943, the War Department had racially integrated all recreation and transportation facilities on stateside bases, and Davis’s experiences in this environment were scarifying – given he had been sheltered from an understanding of racism for his entire childhood by his father. 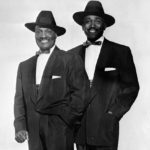 Will Mastin and Sam Sr.
After his discharge in 1945, Davis left Wyoming and returned to the Trio’s act, which toured the country in theatres, carnivals, and increasingly as an opening act in nightclubs. 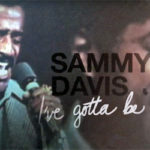 Davis toured with Mickey Rooney (who tried to get Davis cast in his upcoming film, but MGM refused to cast a black man in the role), hung out in Los Angeles and New York with singer Mel Tormé and drummer Buddy Rich, opened for vibraphonist Lionel Hampton, and became friendly with Billy Eckstine and his band members Dizzy Gillespie and Miles Davis. 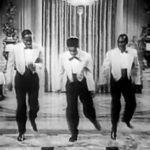 Davis learned from this remarkable exposure to legends in the business and relentlessly honed his skills as an impressionist, musician and dancer. 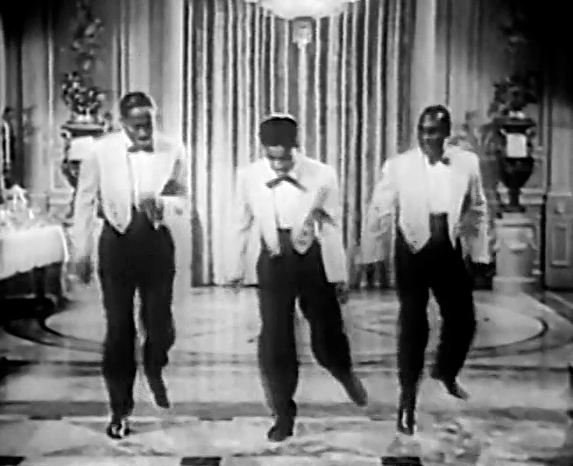 The Trio’s popularity was given a major boost when Frank Sinatra personally requested they open for him (instead of the Nicholas Brothers) for three weeks at the Capitol Theatre in New York in 1947. Sinatra and Davis cemented their friendship during this period – and while Davis’s role in the Trio’s generic act at the time featured him doing singing impressions of other singers, Sinatra encouraged him to sing in his own voice. Soon the Trio’s act was commanding a significant weekly wage. 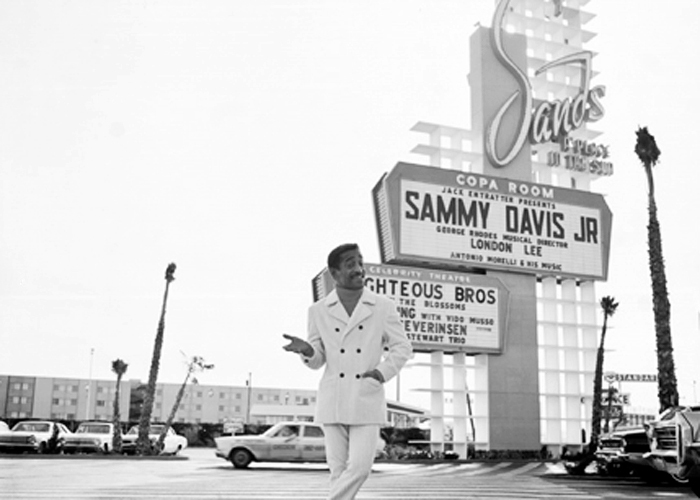 Now known now as ‘The Will Mastin Trio Starring Sammy Davis, Jr.’, they started appearing in Las Vegas – at the time highly segregated and known as ‘the Mississippi of the West’ – first at the El Rancho, then at the Flamingo, and later at The Last Frontier. The Trio opened for Billie Holiday in New York, had a successful run at Slapsie Maxie’s in Los Angeles, and appeared at The Apollo in Harlem regularly. But it was one night at Ciro’s in 1951 that would catapult Davis to stardom.